November 1st is known as “the day of black tea” in Japan because it was considered the very first day when Japanese ever had “black tea”. 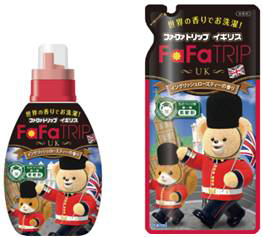 To mark the day, FaFa Japan Co., Ltd will put tea-related goods on sale, not TEA itself. That is an English rose tea-scented softener. It seems that this aroma is selected to give the impression of elegant and grace of Britain.